New feature: The hilariously disturbed minds at this blog come up with a fictional fight and try to discern would would win. 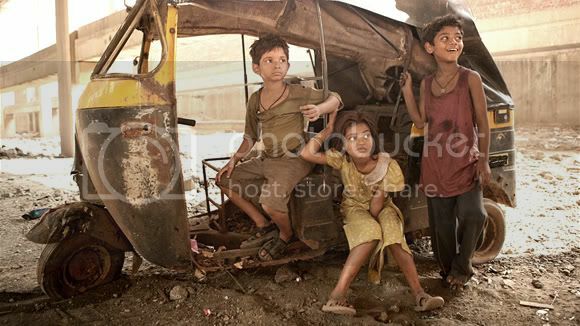 SN: Who would win in a melee: the kids from Slumdog Millionaire or every superhero ever fighting on the same side? 1) There’s no opponent more dangerous than the opponent with nothing to lose. Obviously, that makes a penniless orphan the most dangerous opponent of all. 2) The most dangerous opponent is the opponent who doesn’t know what he’s not supposed to do. The superheroes understand how superhero fights are supposed to go, and they’re prepared for conventional warfare. The slumdogs are basically the vietcong: no rules, just survival and victory. 3) The slumdogs want it more. The superheroes repel Galactus like, every third week. Beating up three orphans is just another day for them. But, this is the orphans’ big shot at glory. Y: I take the slumdog kids as well, but primarily because it is written that they will win. It’s written in fog on a mirror, but still, it is written. Therefore, they win, no matter what else happens before the fight starts and ends. LD: It would have to be written on the mirror that the superheroes would win, right? 1) It is highly unlikely that the slumdog kids would be able to find any kryptonite to repel Superman, or even have the ability to gain the knowledge that Superman can only be defeated by kryptonite. 2) Professor Xavier could totally enter their fragile minds and make them run off a cliff like lemmings if he wanted to. 3) The Incredible Hulk, in a fit of fury, would not discriminate against people attacking him, even supposing they were children. He would crush them with his massive feet. 4) I would like to see Gambit blow up the slumdog children with an exploding card. Warner Bros., are you listening? 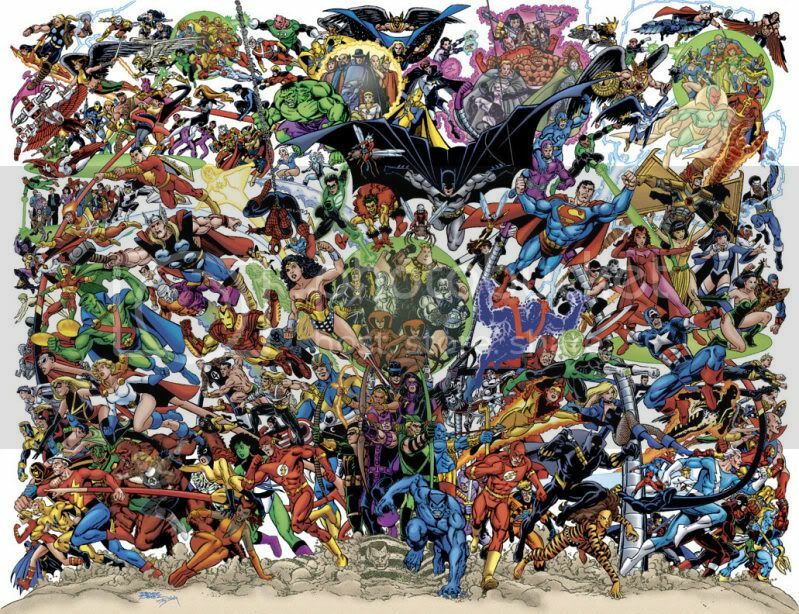 I would, however, expect the following superheroes to perish in the battle: Aquaman, the Green Lantern, Rogue, Robin and the Silver Surfer. LD: I’d be willing to bet that the vegas odds on Aquaman perishing are like, .8:1. Have you seen the Ganges? Also, I applaud you for such a bold pick. Clearly, the momentum was on the side of the helpless infants in this battle, and it took a real iconoclast to choose the side with enough power to destroy the Earth 1000 times over. SN: I’m just sayin…sometimes, we tend to take the emotional pick and root for the underdog. As much as I would like to see the underdog thrive, it would be more likely that the superheroes would be eating slumdog kabobs off of Wolverine’s claws when all was said and done. LD: I would actually love to see that movie. Just 90 minutes of horrible orphan slaughter. It would be like the end of the first act of slumdog, actually. SN: Yeah, but that was just sad. For entertainment value, the massacre would have to be justified. One of the children walked on Bruce Wayne’s lawn, for instance. N8: I’ve never trusted orphans, and I never will. I could never forgive them…. for the death of my boy. Or the U.S. government calls in the X-men and others to enforce a free-trade agreement that requires all of the children in East Asia to make Nikes for 20 hours a day. SN: That would be sweet. I could definitely see Beast whipping young children as the sew shoes together. LD: You know, how funny would it be if Batman’s parents murdered his favorite mugger, and he swore revenge on parents. I mean, that would be stupid. Why would they do that? SN: They were jerks, that’s why. They signed up for a “game” similar to that in Hard Target, where they killed for fun. Bruce’s favorite mugger just happened to be a victim. Arbitrarily determined winner: Moviegoers everywhere! Couldn’t we just call them the naughty twins?